Cougar Link is Kean University's online student group management and extra-curricular involvement tracking system. It is also a resource that is provided for students aiming to get involved and learn more about the University. It is also important for prospective users to understand how they can benefit from it. Students are the primary users of Cougar Link and manage most of the content on the website. Cougar Link provides all students with a gateway to involvement opportunities and allows them to document participation and their learning. Student organizations and clubs can benefit from Cougar Link because the content and information provided is available for students who are involved in various leadership roles. 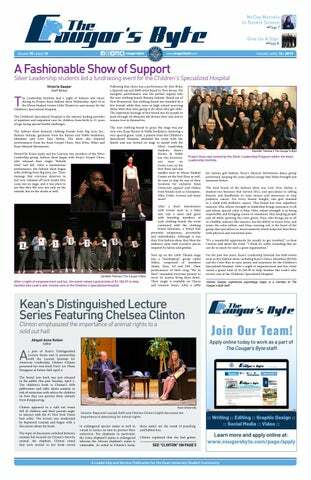 As a backbone for student groups at Kean, there is a plethora of management positions in regards to memberships, events, participation and much more. Aside from student involvement, departments and faculty can utilize Cougar Link to promote their events. So how can one create a Cougar Link account? Go to the Cougar Link website and select “Log In” on the top right of the screen. To log in, students can enter their KeanGOOGLE username, excluding @kean.edu. Alongside the KeanGOOGLE username, the password is required to log in to Cougar Link, then one can change their password after logging in. Under events, people can scroll through various events and search up potential events. In the search tabs there are themes, categories and perks. Themes include art, music, athletics, service, cultural, group service, social, spiritual and learning. Categories include academic or educational, announcements or reminders, athletics or recreation, community service or volunteering, GE 1000 Approved Service and Civic Engagement Event, health and wellness, meeting, performance and shows. Perks may include free food or free stuff, which is a great incentive to provide for students. Under organizations. 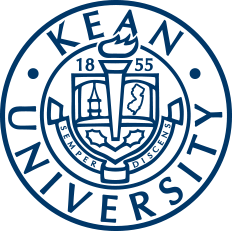 categories include academic programs, cultural organizations, fraternities, funded groups, governmental organizations, Greek organizations, honor societies, Kean University departments, non-funded groups, performance organizations, professional organizations, recreational organizations, religious organizations, service organizations, sororities, special interest organizations, student government and Wenzhou-Kean University organizations. Lastly, co-curricular transcripts (CCT) are a tool used for students' involvement in educational experiences taking place outside of the classroom. A CCT is designed to help students become involved and is provided as a personal journey throughout the years. Outside from providing students with involvement, it allows students to showcase their skills and abilities, increasing one's marketability to prospective employers and graduate schools. Most companies and graduate schools look for a student who has dedicated their time to develop leadership and communication skills. With that being said, a CCT is a verifiable document that can be customized to compliment an academic transcript or resume. Awards, honors and scholarships acknowledge exceptional academic or personal achievement presented to students during their time at Kean. Student organization and leadership activities showcase a student's membership or participation in clubs and organizations. Educational workshops and programs are given by professional educators, scholars or certified practitioners. These programs are designed to build a student's personal, academic and cultural development. Community service and civic engagement represents sponsored events and activities that demonstrate a commitment to civic responsibility. For more information, students can visit Cougar Link, call the Center for Leadership and Service at (908) 737-5170 or visit the Miron Student Center (MSC), Room 219. Petruce Jean-Charles is a senior majoring in communication with a concentration in journalism. In Spring 2017 she joined The Cougar's Byte staff. She is goal-driven and dedicated to accomplishing her goals, where she wishes to work for successful companies like Huffington Post or The Washington Post. In her free time, she enjoys listening to different artists and watching new horror and thriller movies.